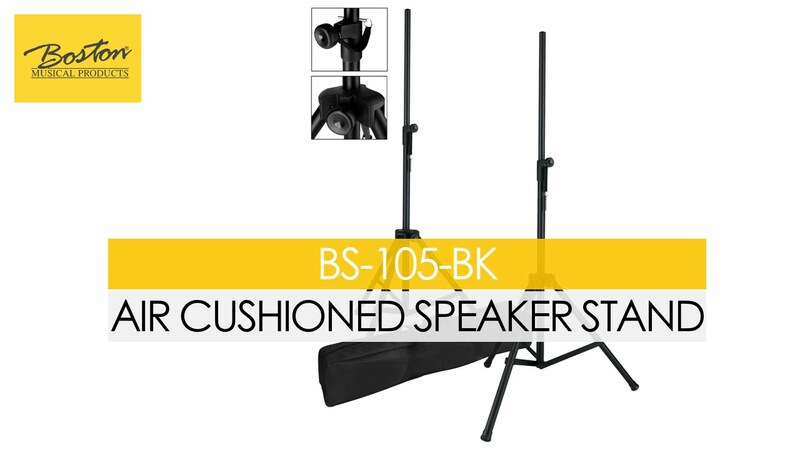 The Boston BS-105-BKB is a package of two Boston BS-105 speaker stands and one carrying bag. The Boston BS-105 is an aluminium speaker stand with air suspension. Aluminium is lightweight, very durable and rust-proof. The air suspension makes the placing and removing of the speaker a lot safer and simpler. After setting the desired height of the stand (max 2 meters) you can secure its height with a metal safety pin. The BS-105 has rubber feet underneath its 3 legs to protect the floor and enhance its stability. You can also use the BS-105 as a light stand. Spare parts are sold seperately.